Now we're on holiday! A five-day break is still a quick getaway, but offers the chance to pack in some action and adventure before head home refreshed and relaxed. WHY WE LOVE IT It's just long enough to wind down into Fiji time. Despite the recent devastation wrought by Cyclone Winston, the places visited on Fiji Princess' cruises are as unspoilt as they've ever been. The itinerary includes a day on Blue Lagoon Cruises' private beach on Nanuya Lailai, where you can go snorkelling and stand-up paddle-boarding, hand-feed fish and enjoy a Fijian lovo, complete with singing and dancing performances by islanders. Visits to the Sawa i Lau caves (featured in the 1980 movie The Blue Lagoon) and to a local school are among the highlights. MAKE IT HAPPEN Blue Lagoon Cruises operates three-, four- and seven-night cruises year round from Port Denarau on the 68-passenger ship. Fares for the four-night Wanderer cruise start at $1834; see bluelagooncruises.com. WHY WE LOVE IT Located just a few metres from Rarotonga's best lagoon, you'll wake each morning with a swim or a kayak across to Muri Lagoon's uninhabited off-shore islets before a breakfast of fresh fruits delivered to your villa. Each villa has an outdoor Jacuzzi and a huge deck looking out across the lagoon. But it's the feeling of complete privacy that's best at Rumours, despite the fact you're staying within Rarotonga's most popular holiday region. STEPPING OUT Take a stand-up paddleboard or kayak across to the empty white beaches of Muri Lagoon's four motus (tiny islets), snorkel above colourful coral and among hundreds of tropical fish, take a short stroll on the beach to one of Rarotonga's best restaurants, Sails Brasserie and Bar, hire a motorbike and find every tiny bay and beach beside Rarotonga's coast road, and stroll to Muri's vibrant food markets. WHY WE LOVE IT Board the 44-passenger Coral Expeditions II in Cairns for a leisurely cruise that takes in a full day at the renowned Ribbon Reefs, historic Cooktown and Lizard Island, a spectacular 1000-hectare National Park. There are plenty of opportunities for exploring coral gardens and viewing marine life, either by scuba-diving, snorkelling or in the ship's glass-bottom boat. The onboard marine biologist explains the natural history and evolution of the reef and helps you discover local wildlife, which includes sea turtles, giant clams, rays and some 200 different species of native birds. 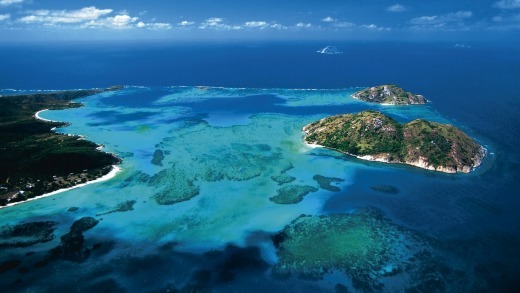 MAKE IT HAPPEN Coral Expeditions operates three-, four- and seven-night GBR cruises year round. Fares for the November 28 departure start from $2096. See coralexpeditions.com. WHY WE LOVE IT You can escape the equatorial heat of Malaysia up high in the mountains where temperatures drop 10 degrees or more from those experienced in KL. They call the Cameron Highlands a little piece of England in Asia, and nowhere captures the elegance and nostalgia of the English colonial period more than the Cameron Highlands Resort. Enjoy daily high teas in the stately dining room waited on by staff in white suits and by butlers in pith helmets. There's two restaurants on site and one of Malaysia's best day spas. STEPPING OUT This is one of Asia's best known tea growing regions, so book a tea plantation tour finished with a catered picnic looking out across endless hills of greenery, or try a round or two of golf 1500 metres above sea level where your golf ball travels further and the weather's more agreeable for walking 18 holes, or hike across over 700 square kilometres of tropical and temperate rainforest on 15 different jungle trails. MAKE IT HAPPEN There's four types of rooms and suites to stay in starting at $380 a night. See cameronhighlandsresort.com. 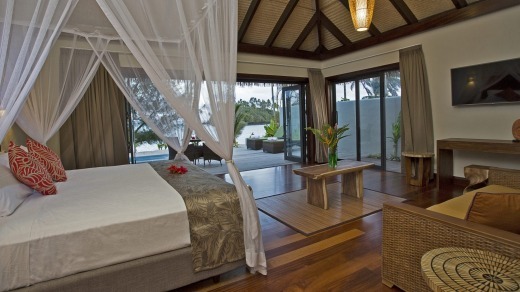 Nautilus Cook Island beachfront guest room. WHY WE LOVE IT In February 2017, the majestic QM2 will make its inaugural call at South Australia's Kangaroo Island as part of its world cruise. The 2620-passenger ocean liner is so popular you'll have to be very quick to get on board this short cruise, or book now for the February 18, 2018 four-nighter. QM2 will be undergoing an extensive makeover later this year; new features include single cabins, an additional 30 Britannia Club cabins and refitted Grills suites and restaurants. The ship's Kangaroo Island visit offers 4WD adventures, an RIB ocean safari and a tour to Seal Bay Conservation Park, a wonderful wildlife experience. MAKE IT HAPPEN Fares for the February 18, 2018 departure start from $1219 with ecruising.travel. See cunardline.com.au. WHY WE LOVE IT The most far-flung resort on the Great Barrier Reef, Lizard Island sparkles following a $50 million post cyclone makeover. Its astonishing natural beauty with a sweep of fringing reefs circling a turquoise lagoon has long made it a magnet for celebrities and A-listers. Forty decadent new villas boasting superlative beach views, attentive service, and the best of mod Oz cuisine, make it Australia's ultimate barefoot luxury resort. STEPPING OUT Enjoy a private picnic on your own deserted beach (the island has 24 private beaches), swim with turtles at Casuarina Beach (also known as the Turtle HWY), and explore the clear waters and rich marine life of Anchor and Watson's Bay in a glass bottomed kayak. Hike to Cook's Look, which Captain Cook climbed in 1770 in search of safe passage. MAKE IT HAPPEN From $1699 a night twin share including gourmet meals, unlimited non-alcoholic beverages, selected fine Australian wines, beer, spirits and sparkling wine, in room mini bar, picnic hampers, use of non-motorised water sports and motorised dinghies. See lizardisland.com.au. Maya Sanur Resort & Spa, Bali. WHY WE LOVE IT This tiny 1.6-hectare island off the eastern side of the main island Viti Levu allows you to easily slip into Fiji time. You won't find big ticket amenities such as cable TV, fast Wi-Fi or airconditioning. Instead, Toberua offers 16 charming and simple bures with outdoor bathrooms, wooden louvres to catch tropical breezes, hammocks and simple pleasures like snorkelling off the jetty or watching the sunset while serenaded by the staff band. Rooms overlooking the lagoon-like pool at Villa Samadhi, Kuala Lumpur, Malaysia. STEPPING OUT Toberua offers easy access to several fantastic dive sites. There's also an interesting village trip, a fascinating tour to nearby Mabualau Island (Bird Island), a sanctuary for the red-footed booby, noddys, crested terms, the delicate black-naped tern, reef herons, frigates and docile sea snakes. MAKE IT HAPPEN Beachfront bures from $300 a night a couple (minimum three-night stay). Meal packages extra. Year-round specials available. See toberua.com. WHY WE LOVE IT This eco retreat sits on 58 hectares of beachfront native forest overlooking the lovely Oak Beach, just south of Port Douglas. The drive from Cairns Airport meanders along one of Australia's best coastal drives, with the reef on one side and the rainforest the other. Guests stay in charming bungalows with polished floorboards concealed in the treetops. There's a refreshing pool onsite, or head to the beach and snag a hammock slung between coconut palms. The open sided Osprey's Restaurant offers incredible Coral Sea vistas with a cacophony of bird calls. The only thing that lets it down is the woeful coffee. STEPPING OUT Enjoy sunset drinks at Herbie's Beach Shack where locals and guests gather for an icy ale, toes in the sand (check opening hours which fluctuate). Thala offers complimentary tours with a ranger including star gazing, beach discovery and bird and butterfly watching. A 15-minute drive takes you to Port Douglas for a spot of retail therapy and brunch at Betty's Bohemian Cafe. 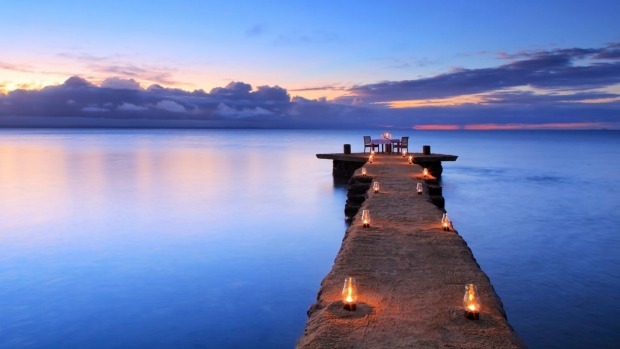 MAKE IT HAPPEN From $339 a night, or $254 a night for a "stay four, pay three" deal in a jungle walk bungalow. See thalabeach.com.au. 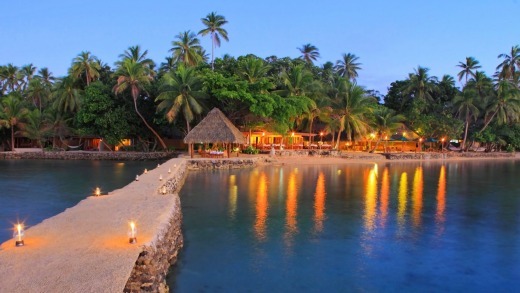 WHY WE LOVE IT This boutique eco resort sits on the gorgeous Muri Beach. It offers 17 spacious villas (the pick are the pool villas offering absolute beach frontage), Kid's Concierge, a Thalgo spa and excellent on-site restaurant. There's also a tiered infinity pool, but why bother when the inviting lagoon is mere steps away. STEPPING OUT Nautilus sits opposite the picturesque Ta'akoka Motu, which you can swim, kayak or wade to (at low tide) for terrific snorkelling, or take a dive with the Big Fish Dive Centre to Edna's Anchor. Be sure to have dinner one night at the divine Tamarind House and look out for the orange traffic cone outside the home of Neil Dearlove, from the Cook Islands Coffee Company. Neil makes the best coffee on the island. MAKE IT HAPPEN From $580 a night including daily breakfast. Air New Zealand flies direct from Sydney to Rarotonga each Saturday (flights connect through Auckland on other days). See nautilusresortrarotonga.com; see airnewzealand.com.au. WHY WE LOVE IT In a sleepy village between lush rice fields and the spectacular wild black sand beach of the less visited coast of south-west Bali, Alila Villas Soori is the antithesis of Kuta and Seminyak. The striking resort, designed by Soo Kian Chan of SCDA Architects, is juxtaposed against the rugged beach framed by palm trees. Ocean view villas come with wraparound pools you can practically roll out of bed into. The east meets west food is impeccable, the slick spa heavenly and the lychee cocktails addictive. STEPPING OUT Ride a horse along the black sand beach, visit temples dating from the Neolithic era including the famous sea temple Tannah Lot, and grab a sundowner and watch thousands of tiny bats depart their cave for the sultry evening sky. You can set your watch by it. MAKE IT HAPPEN From $1030 a night. See alilahotels.com/soori. WHY WE LOVE IT The hip new beachfront Maya Sanur is a fantastic addition to tranquil Sanur, a resort area long favoured by European travellers. The striking 103-room occupies a long narrow block between the main strip and the beach. Stunning ground floor rooms offer direct access to a 158-metre lagoon pool from wooden decks with inviting circular day beds. There are a further two pools, a chic spa, four restaurants including Reef with its floating curtained dining platforms, and a charming beachfront bar where you can watch the local fisherman. STEPPING OUT Hire a stand-up paddleboard, take a sunrise yoga class, stroll the beachfront walk and have coffee and cake at the Glasshouse, owned by an Australian woman. MAKE IT HAPPEN From $300 a night. See mayaresorts.com/sanur. WHY WE LOVE IT Escape the crowds at this classic beachside property south of the sleepy village of Candidasa in the foothills of Mount Agung. The minimalistic building melds into its lush surrounds and is impeccably maintained. Admittedly rooms err on the small and spartan side, but the balconies with inviting sun beds make up for it. 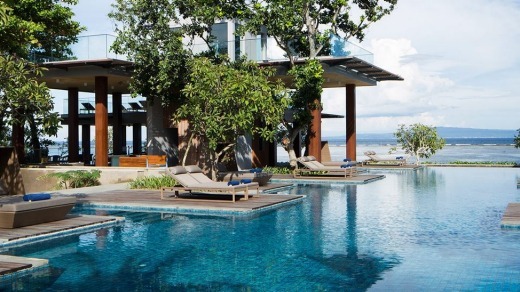 At the resort's heart is a central pool that sits in expansive manicured gardens that roll down to the sea. A Balinese massage in the spa's beachside cabanas is a must, while daily yoga classes are also on offer. STEPPING OUT Alila offers a cooking class in its organic garden with sea views over the rice paddies. 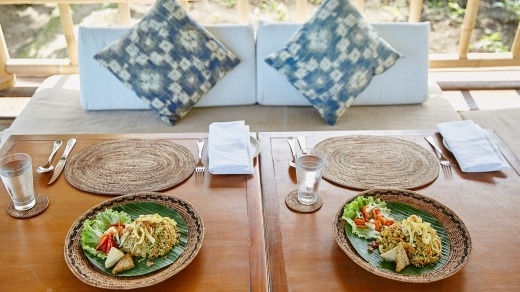 Learn to cook traditional Balinese cuisine, then enjoy lunch in a "kubukubu", a small hut built in the rice fields. Take a drive to Pasir Putih Beach (Virgin Beach) for a refreshing swim, or challenge yourself with a hike up Mount Agung (an eight-hour round trek). MAKE IT HAPPEN From $345 a night. See alilahotels.com/manggis. WHY WE LOVE IT One of KL's best kept secrets is Villa Samadhi, in an upscale location known as Embassy Row. 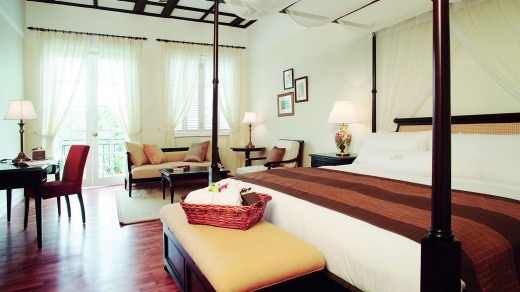 The converted villa with soaring grass thatched roof houses 21 contemporary and spacious Asian inspired rooms. Ground floor rooms have direct access to the property's lagoon pool surrounded by alluring cabanas. A highlight is the complimentary cocktail hour at the rooftop bar Bambung, where Asian-inspired concoctions and canapes are served overlooking the twinkling city skyline. STEPPING OUT Come sundown make for Chinatown when stalls cram the atmospheric Petaling Jalan area. Dine at the charming Old China Cafe, an expat favorite, on authentic Peranakan cuisine and shop till you drop at KL's main retail district Bukit Bintang, located in the Golden Triangle. MAKE IT HAPPEN From $250 a night including breakfast for two. See villasamadhi.com.my. WHY WE LOVE IT Celebrating its 30th birthday this year, the PS Murray Princess is a paddle-wheeler purpose-built for the Murray River. Catering for 120 passengers, it sails a round-trip along the outback river highway from the historic port of Mannum to Blanchetown, Swan Reach and Younghusband. The region is home to 350 species of birds, including pelicans, egrets and swans, as well as hairy-nosed wombats and kangaroos. Along the way there are visits to Burk Salter Wines' vineyards, the Swan Reach Museum and the Ngaut Ngaut Aboriginal Reserve, where you'll see ancient rock carvings and learn about the area's indigenous history. MAKE IT HAPPEN PS Murray Princess offers departures every month,12 months a year. Fares from $1076. See murrayprincess.com.au. WHY WE LOVE IT Imagine a luxury safari experience not in Africa, but nestled within the hinterland of one of the South Pacific's most mountainous islands. Have a bath under the stars, try an early-morning yoga session looking out towards the mountains and the neighbouring paw-paw patch, or just relax on a couch on your porch eating mangoes or coconuts straight from the trees outside. STEPPING OUT Take a bicycle ride around Rarotonga's 1000-year-old interior road where few tourists venture to discover lost valleys accessed only by dirt roads, visit Rarotonga's lively Saturday markets for free Polynesian dancing performances, try stand-up paddleboard yoga on a warm lagoon or enjoy a cocktail at one of Rarotonga's many atmospheric sunset bars on the island's stunning west coast. MAKE IT HAPPEN Ikurangi Eco Retreat offers the exclusive Ariki Safari Tent for $400 a night and four luxury safari tents for $320 a night. See ikurangi.com. WHY WE LOVE IT This luxury self-contained holiday house is set in the rainforest with a jaw dropping infinity pool overlooking Mount Demi and Thornton's Peak. The purpose built house also doubles as a bespoke wellness retreat. It offers a vast central hub with designer kitchen, high speed internet, open plan living area with cable TV, a fully equipped gym and five guestrooms (sleeping up to 10). The two corner suites are the pick of the accommodation with elegant four-poster teak beds, spa bath and private outdoor rain shower. All rooms overlook the pool to the rainforest beyond. STEPPING OUT Book a massage with Mai Adamson delivered to the calming soundtrack of the rainforest, head to the Junction Cafe at Mossman for brunch, followed by a dip at the stunning Mossman Gorge. Dinner at Silky Oaks Lodge overlooking the Mossman River is a must. 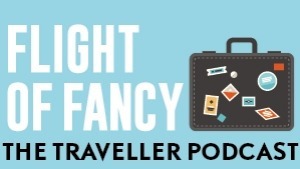 WHY WE LOVE IT It takes about 8.5 hours to fly from Sydney to Singapore so the four-night Malaysia cruise is stretching our five-day short break limit; however if you're craving a taste of south-east Asia this is an attractive option. Diamond Princess leaves Singapore at 4pm for Penang, where you have about nine hours to explore George Town. This UNESCO World Cultural Heritage Site has Chinese and Indian temples, mosques, colonial architecture and a thriving foodie and arts scene. Pulau Langkawi is a laid-back island destination and Kuala Lumpur, Malaysia's capital, offers glittering shopping malls, lush parks and a multicultural lifestyle. MAKE IT HAPPEN Between December and March the 2702-passenger Diamond Princess sails three-, four- and five-day cruises from Singapore. Fares for the December 12 departure start from $729. See princess.com. Contributors: Lee Atkinson, Anthony Dennis, Belinda Jackson, Julietta Jameson, Brian Johnston, Ute Junker, Sally Macmillan, Sheriden Rhodes, Craig Tansley and Sally Webb.